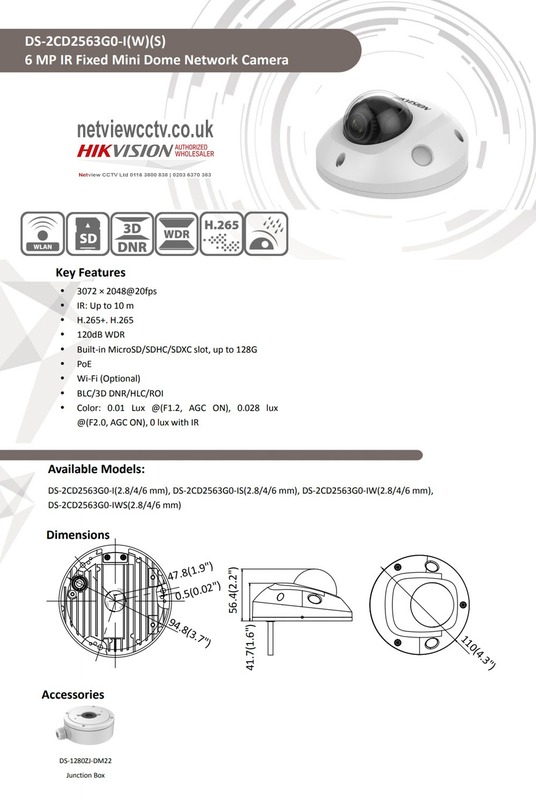 The Hikvision DS-2CD2563G0-IS is a 6MP Mini Dome IP camera with PoE and a range of features such as a built in Microphone for remote audio monitoring, triple streaming, day and night function, digital wide dynamic range. It also comes with audio out connectors to attach an optional external speaker. The camera also comes with Alarm I/O (inputs & outputs) connectors to connect external sensors. PoE allows you to connect the camera to a PoE enabled device to power the camera without the need for an extra power source. This model (-IS) does not have wireless capability.